Very cool ... could be coming to a public space near you. "It's back... and better than ever! 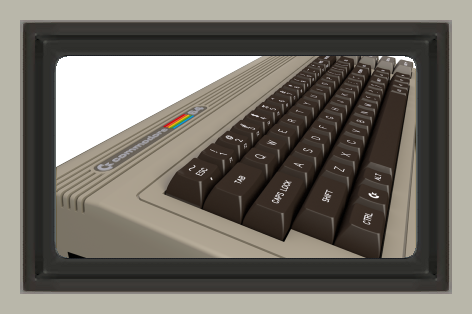 The new Commodore 64 is a modern functional PC as close to the original in design as humanly possible. It houses a modern mini-ITX PC motherboard featuring a Dual Core 525 Atom processor and the latest Nvidia Ion2 graphics chipset. It comes in the original taupe brown/beige color, with other colors to follow." It's very strange seeing this machine with modern ports, but good to see it back; now if only someone would do this with the Amiga 500. Click here to bring back those memories. Neil from the Hippy Seed Company tries out Country Harvest's Crocodile Bite -- one of my all time favourite hot sauces. It has a great flavour and a really nice burn. I usually pick it up from my local fruit and veg store or IGA. Apple released to the public iOS 4.2 for iPad, iPhone & iPod touch today. Whilst iPhone users won't notice many differences, this update is mainly for the iPad users, who haven't been able to take advantage of all the cool features that 4.0 brought to the iPhone and iPod touch. "iOS 4.2 makes the iPad a completely new product, just in time for the holiday season," said Steve Jobs, Apple�s CEO. "Once again, the iPad with iOS 4.2 will define the target that other tablets will aspire to, but very few, if any, will ever be able to hit." There is one gem for iPhone users and that's the Find My iPhone feature, which is now available for free to use without needing a MobileMe subscription. The Find My iPhone app is a free download on the App Store and lets users locate a missing device on a map and have it display a message or play a sound. You can even remotely lock or wipe data from a lost device to protect privacy. "Taiwanese peripheral manufacturer Tt eSports has launched a new three button gaming mouse aimed to please those with a penchant for fragging. Unlike other options out there such as the Razer Lachesis, which tout ever-increasing sensitivity specs, the Azurues' optical sensor engine is content to top out at 1600 dpi, and can easily be adjusted down to 400 / 800 dpi via a hardware switch on the bottom. That makes it ideal for those who prefer a little more wrist leeway while shooting. Other niceties include a black rubber coating for grip, an adjustable weight design, low friction Teflon feet, integrated lighting, and a braided cable to take repeated abuse from the thrill of desk-side battle. Unfortunately, pricing and availability are still unknown, so there's no need to remove your cursor from the back of your next victim's head until more details surface." I'm pretty happy with my Razer Copperhead, but if this mouse is as good as it's suppose to be, then this could be the next one for me. ReBirth is an application that emulates two Roland TB-303 synthesizers, a Roland TR-808 drum machine, and a Roland TR-909 Rhythm Composer simultaneously. After all, everybody loves a 303! Check out this cool video, showing how the Batman logo has changed from franchise to franchise. The Official Video of Danny Byrd's "We Can Have It All" -- definitely captures the party vibe and good to see the Byrdman on the decks. Great stuff ... I�love the fact it's all setup on the kitchen table. You can check out more of MASTA MIC from Russia here. 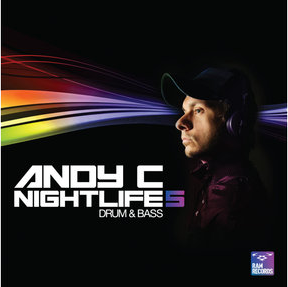 "Andy C is back with the latest chapter, number 5, in his Nightlife Drum n Bass mix series, the biggest and best selling release of it�s kind. This time, Andy C has upped the anty with 44 tracks and 2 DJ mixes. This album is definitely in high demand, with sites like Trackitdown saying it�s their fastest selling album and sure to be their biggest selling album of all time." Head on over to Dancenode for the full review. Moleskine is a brand of notebooks, planners, diaries, sketchbooks and albums and they're celebrating the 30th anniversary of Pac-Man with a notebook and this ad. 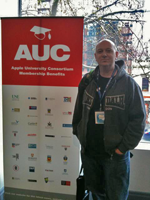 Thanks to the Apple University Consortium, I was lucky enough to go to /dev/world 2010 held at the Rydges Hotel in Melbourne. Melbourne was it's usual cold and wet self, but that certainly in no way hampered any of the enjoyment. Guest speakers this year were Andre Pang from Pixar and Matt Gallagher best known for his Cocoa with Love blog, who both gave great and insightful talks. Some of the highlights for me at this event were:- Jake MacMullin from ABC's talks on Core Data and HTTP Live Streaming, Kyle Buttress's Campus Navigation using CoreLocation with custom maps and Sushant Verma's GameKit and how easy it is to implement and hook up devices. It was a great event and I would very much like to go next year. Oh and it would be remiss of me not to mention that I won an iPod Nano in Icon Bingo at the AUC Dinner. This of course, just enhanced the whole experience. You can find Chris Neugebauer's gallery here and my photos here. Are you ready for some football ?!? Oh yeah ... Raiders defeat the Rams 16-14. This morning I tried out Google Scribe, which is this tool that autocompletes as you type. It can be added to your browser via a bookmarklet to use it everywhere or if you just want to test it out you can visit scribe.google.com. It has been criticized for producing clich�s as the text used is based on previously published material. It's a little wacky and takes a little getting use to, I even wrote this post using it. It'll be interesting to see how it people used it and whether or not it has any traction. I must say it's very annoying having to press the ESC key all the time. It would have be better if it wouldn't automatically highlight and use a word or phrase when I press SPACE, when I want a SPACE not the word that scribe has suggested. I also had to fix up some of the grammer mistakes it had generated, so you're probably not going to be writing your essay or assignments with this. Today, Apple announced a slew of new products including the new iPod Touch, iPod Nano, iPod Shuffle, Apple TV and iTunes 10.
iTunes 10 comes with a new feature called "Ping", that enables people to see what songs friends or music celebrities are buying. Users "follow" each other (like Twitter) and get updates of their friend purchases, much like Blippy does, but iTunes stuff only. You can also rent TV shows for $0.99 but we'll see if that hits our shores or not. 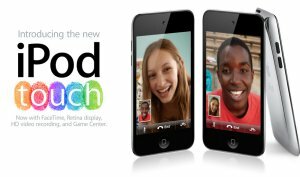 The iPod Touch is basically an iPhone 4, without the cell service, in the fact that it has a retina display, HD video recording, FaceTime, etc. 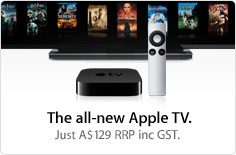 The Apple TV gets Netflix, YouTube and more. By more they mean, Flickr and your MobileMe Gallery. Again, Netflix is not available in our country, so pffft meh sif as the cool kids would say. Still, the price is very good and I think Apple will sell a lot more of these than they did of the first generation. For iPad users, there was also confirmation that the new iOS 4.2 will be available to them by November, 2010. This is good news, because I really want that PDF ability in iBooks, that I currently have on my iPhone 3GS, oh and not to mention background tasks. Anyway, check out the live stream for full details. 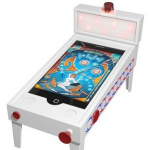 Pinball Magic is a little device that you can slide your iPhone into, and with the help of a free app, you can play a full pinball game live on a little miniature table. There's a real ball plunger, flipper buttons, a full LED backlit display, and even a Tilt detector, so you can hit all the usual lights and gadgets. You can pick it up from Best Buy for $39.99 USD, which is a little steep, but if you want that nostalgia feel, this is right up your alley. 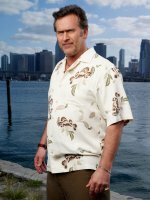 Today at Comic-Con, it was announced that a "Burn Notice" prequel movie, starring none other than Bruce Campbell, was under way. Campbell will produce and star in the project, said USA programming chief Jeff Wachtel, which will focus on Sam Axe's last day of military service and how he became the character he is today. Burn Notice is currently in it's fourth season. 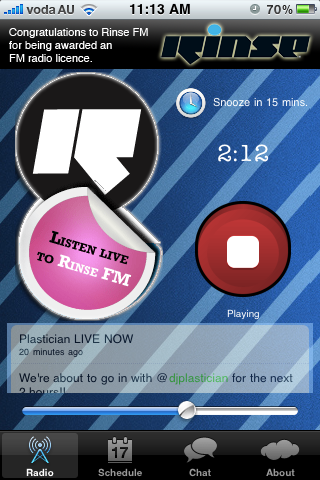 The Rinse FM iPhone App has now been updated to 1.6. With 1.6, the app now supports iOS 4.0 (formerly iPhoneOS). One of the many benefits of iOS 4.0 is Background Audio, so now you can listen to Rinse FM and switch to your other favourite app, whilst still staying locked on. We've also added a Timer / Snooze feature. You can preset how long you want to listen to Rinse and when the timer is up -- the music will stop. Handy for when you want to listen to some tunes before going to bed. We've made some changes to the Schedule page. At present, it's currently offline -- more soon on that. Plus we're working on some other cool features -- look out for 1.7 soon. Today, Apple's Worldwide Developer Conference kicked off in San Francisco at the Moscone Center West and this time, I was there in person (actually 12 rows from Steve). Speaking of Steve, he showed off the new iPhone 4 and the new features in the iOS (formerly iPhone OS). The new screen on the iPhone 4 looks amazing, iBooks gets an update and now supports PDFs, FaceTime Wifi video chat, folders and more. 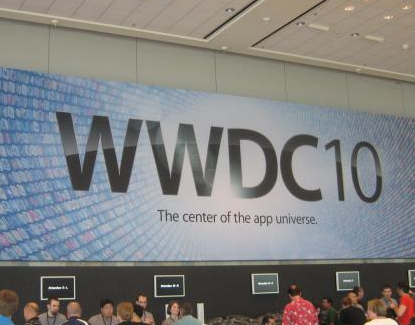 Click here to view my WWDC gallery. This would have taken ages to do and it finally adds some credence to Apple's "magical" device. "This is a journey into sound ... a journey which along the way will bring to you new colour, new dimensions, new value. That pretty much sums up the new LP from Sabre, who has continued with his usual style of laid back production, but has taken it to a new level and delivered a harmonious soundscape." Very cool ... thought I still use Firefox for it's add-ons. Today, Apple's CEO Steve Jobs gave a sneak peek into the future of the iPhone OS. I'm excited! There are some really cool features in OS 4.0, with 1500 new APIs available to us developers, including such coolness as Background audio and location, Calendar Access, Local notifications, iAd and more. For a list of what's new, click here. The KrankyDigital iPhone App just got updated to 1.3 -- bringing along with it some nice cosmetic changes / features including Auto Play and Built-In Browser. Head on over to the App Store for more details. Blame does it again with the awesome "On My Own" featuring Tinchy Stryder, Fuda Guy and Alex Mills on vocals. Whilst, this is the original, the Drum n Bass mix knocks it's socks off. What a work of art -- made by none other than modder guru, Ben Heck, engadget has an awesome video of it's making, so check it out. 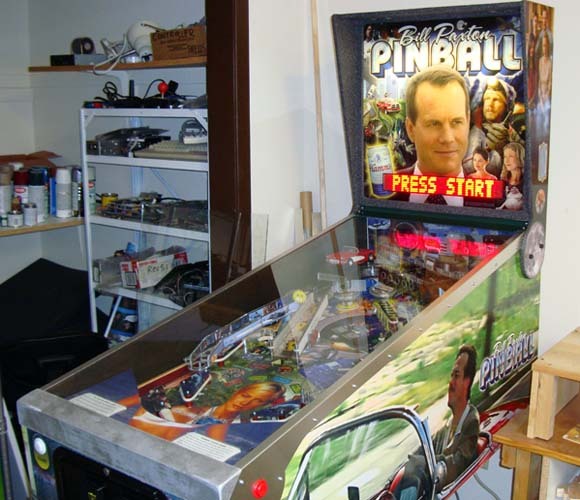 When I was a kid, we use to make very simple pinball machines using rubber bands, pegs and marbles -- ah good times. The "machine" used in this video was designed and built by the band, along with members of Synn Labs over the course of several months. 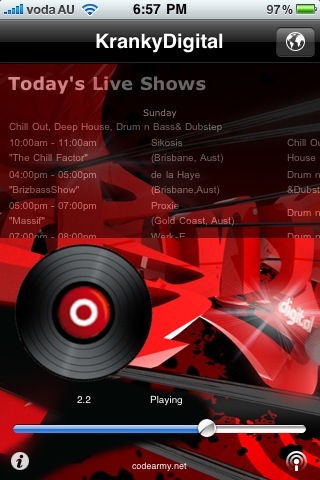 As heard on KrankyDigital Radio 28th February, 2010 it's The Chill Factor with DJ Sikosis. Session 3 kicks off with some chill, followed by some slowed-to-perfection house, some more chill and then rounded off with a classic DnB track -- sounds like The Chill Factor to me. 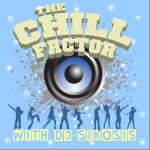 As heard on KrankyDigital Radio 31st January, 2010 it's The Chill Factor with DJ Sikosis. Very quiet in the chat room this month, however some very chill tunes this session. So, sit back and relax with Session 2. "It's time to take the jump to hyperspace with the "From Deep Space" LP from Phace and Misanthrop. These two production teams last joined forces in May 2009 with "Mammoth", now they've released their first 14 track LP on Neosignal Audio." As heard on KrankyDigital Radio 27th December, 2009 it's The Chill Factor with DJ Sikosis, the first of many chill and deep house sessions. Unfortunately, my microphone wasn't working so I couldn't give any shouts out to the chat room -- should have a solution by next month. Til, then sit back and relax with Session 1. 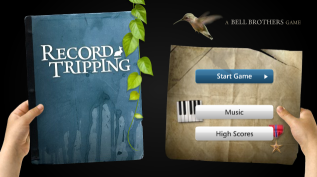 Check out this very addictive flash game by Bell Brothers called Record Tripping. Basically, you use your mouse to scratch the music, which in turn controls the game, so you can then complete the objectives. Sounds weird? It is, but it's also fun to play! "Following on from his brilliant "Crash, Bang, Wallop!" LP release in 2009, Logistics has been entrusted with mix duties on the latest Hospital mix -- which is a good thing, as we're still trying to scrub the memory of mix 7 from our brains." 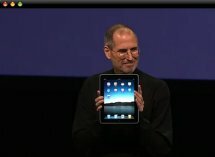 "Watch Apple CEO Steve Jobs unveil the revolutionary new iPad." "A large, high-resolution LED-backlit, IPS display. An incredibly responsive Multi-Touch screen. And an amazingly powerful, Apple-designed chip. All in a design that�s thin and light enough to take anywhere. iPad isn�t just the best device of its kind. It's a whole new kind of device." Except it's just a Kindle killer and for a market that only a small percentage care about. 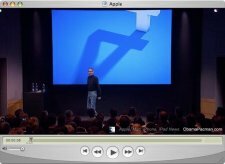 Anyway, get your Apple fix here with the Steve Jobs keynote. Happy Australia Day! Let's hope our Internet isn't brain dead from government filters by this time next year ... anyway, not to begin on a sour note, as today is a day to enjoy, as it's also time to celebrate the Top 20 Drum n Bass of 2009. Once again we teamed up with Dancenode, but I'm also joined by Melon and N3B for comments on our favourite tracks over the year. So without further ado, here is the 4th Annual Top 20 Drum n Bass of 2009. Will you be as surprised as one of our judges was with the Number 1 ? "Australia Day won't just be celebrated with the usual barbecues, pool parties and the Top Drum n Bass of 2009 [oh and Triple J Hottest 100] this year. 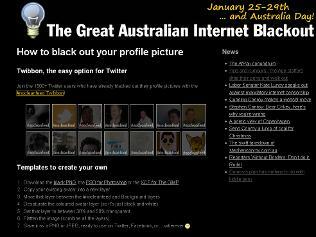 A throng of Australian websites will mark the event by fading to black as part of a week-long, national protest against the Federal Government's proposed internet filter." Internet filters are bad, mkay? Click here for the full story and how to blackout your site.